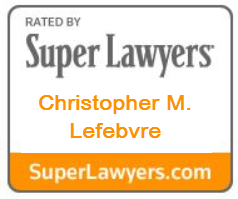 Claude F. Lefebvre & Christopher M. Lefebvre, P.C. You don't have to spend an arm and a leg to hire a competent attorney. The saying "you get what you pay for," is not always true. Many lawyers just charge ridiculously high and totally unnecessary legal fees. Patience may be a virtue but most clients want answers now and expect immediate attention. We meet all reasonable expectations. 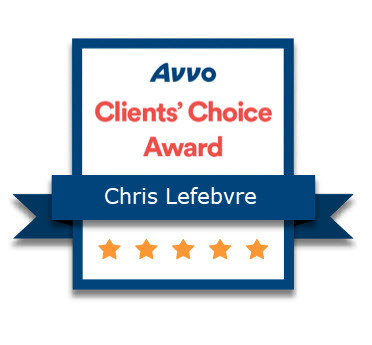 At The Family and Consumer Law Center of Claude Lefebvre, Christopher Lefebvre, P.C., we believe quality legal representation should be accessible and affordable. 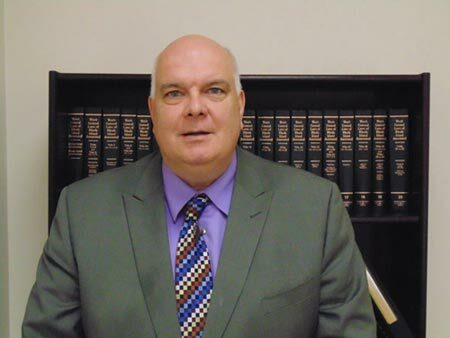 Our founder, Pawtucket attorney Claude Lefebvre, provided wise and reasonably priced legal counsel to people in the Pawtucket area for some 50 years. His son, Christopher, a lawyer himself for more than two decades, continues that tradition of affordable, personal legal service that puts people first. Are creditors hounding you? Have you had your wages garnished? Are you afraid you could lose your home to foreclosure? Take action now! Our experienced and affordable bankruptcy lawyers help people get back on their feet financially. We can file Chapter 7, Chapter 13 personal bankruptcy, small business bankruptcy and Chapter 12 family farm bankruptcy. You don't have to go broke to get a good lawyer, and it doesn't have to take years to finish your divorce. Our divorce lawyer has handled more than 2,500 cases. Save yourself money and time by working with a highly experienced and affordable family law attorney. The United States has laws to protect consumers from bad businesses but all too often consumers lose out because they don't know how to get justice. At The Family and Consumer Law Center, we turn the table on unethical businesses by protecting the rights of victims of fraudulent mortgage lenders, deceitful auto dealers and abusive debt collectors. We handle cases involving auto fraud, lemon cars, harassing debt collectors, and mortgage fraud claims. Get cost-effective, straightforward legal help with your estate plan. See the estate planning page for the costs of each legal document you need. We understand that this may be a difficult time for you. When you work with our attorneys, you can expect to be treated with respect and dignity. We are committed to being accessible when you need answers. 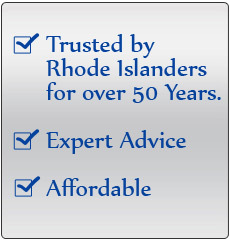 Call us at 401-728-6060 (toll-free at 800-851-1829) to schedule a free consultation or contact us online. Our office is open Monday through Friday, from 8 a.m. to 5 p.m. evening, and Saturdays appoinments upon request. We are located in historic downtown Pawtucket, just off Route 95. The bankuptcy, family Law and consumer protection lawyers at The Family and Consumer Law Center of Claude Lefebvre and Christopher Lefebvre, P.C., have offices in Pawtucket and Providence, Rhode Island. The firm represents clients throughout Rhode Island and southern Massachusetts' communities including Providence, Warwick, Attleboro, Seekonk; and communities in Bristol County and Norfolk County, MA.